Jaydeep Steels is a well-renowned Duplex Steel Bar & Rods manufacturer and exporter that are exported to both national and international customers. We manufacture the duplex steel bars and rods from the best quality of Duplex Stainless Steel thus ensuring its superior properties like higher strength, greater corrosion resistance, price stability, and durability. We also manufacture duplex steel bars, which are provided to the customers in different shapes, sizes and various available grades like UNS S32750 / 2205. Each one of our product is The finish of these Duplex Steel Round Bars can be of various types like Black, Bright Polished, Rough Turned, NO.4 Finish, Matte Finish, and BA Finish. To make sure that we meet the varying requirements of our valued customers, Duplex Steel Rods are available in forms like Hot Rolled, Cold Rolled, annealed etc. Our products find extensive use in fields like oil exploration, wind energy, tramway and railway, farm equipment, and much more. 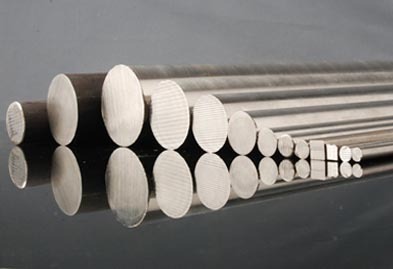 The different available Shapes of Duplex Steel Bars and Rods are Round, Square, Rectangular, and Hexagonal. The production of Duplex Steel Forged Bars & Rods is well-tailored as per our customer needs and requirements. We perform both, hot and cold forging on duplex steel bars and rods, as per the varying needs. The Duplex Steel Threaded Bars & Rods manufactured by us offer high yield strength, which is near twice the annealed yield strength of an austenitic stainless steel. Duplex Steel Bright Bars & Rods are manufactured at Jaydeep Steels in accordance with all national and international standards and are used in industries like textile, automobile, foundries, construction, electrical, engineering, etc. 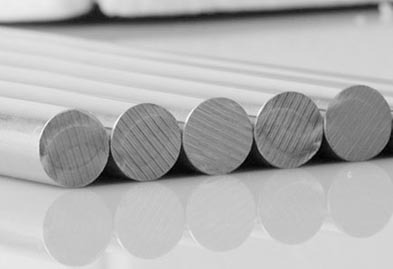 Duplex Steel Cold Drawn Bars & Rods have advantages like closer dimensional tolerances, better surface finish, and improved mechanical properties. Call us today for a free quote! Grade UNS NO. S 31803, S 32205, S 32550, S 32750, S 32760. Jaydeep Steels stocks a wide range of materials and grades. Below are a list of all standard duplex steel bars and rods materials and grades we stock. Our experienced team of metal experts will get you the metal you need when you need it. Call us today for your Duplex Steel Bars & Rods Needs!